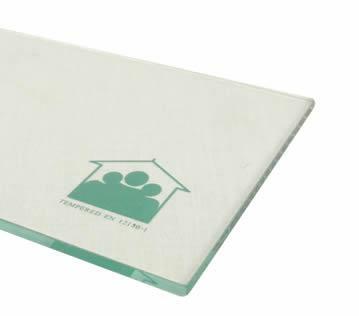 Would you like toughened glass? 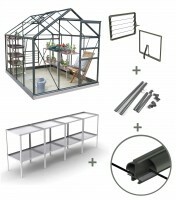 I would like to add full sheet toughened glass to my order. 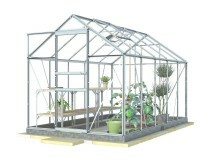 This new staging consists of an extremely sturdy aluminium frame (each piece of staging has 16 corner braces for superb rigidity). 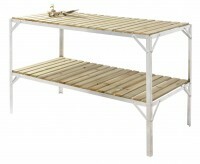 The tops are made from tanalised timber slats (pressure treated so that you never have to re-treat). 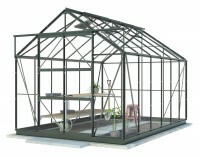 Please note that we say 4' for the sake of clarity, in fact they are a bit smaller so that they fit into the greenhouses well. 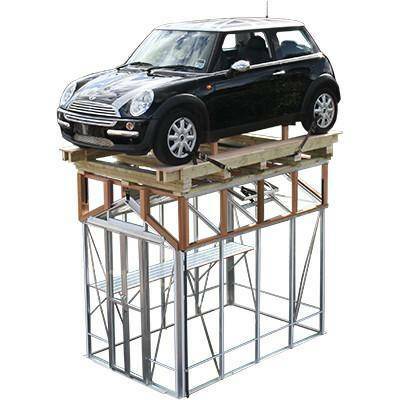 All Caverswall staging is delivered completely flat packed for self assembly. 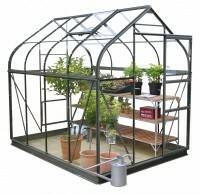 Ideal for 6ft wide greenhouses, the 2ft width will not obstruct the doorway. 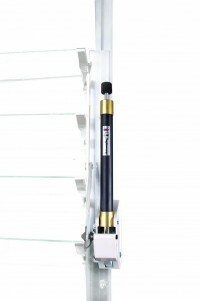 The working height is 2'6". 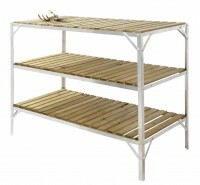 Made from aluminium with 16 supports at the corners it is a very sturdy piece of staging. 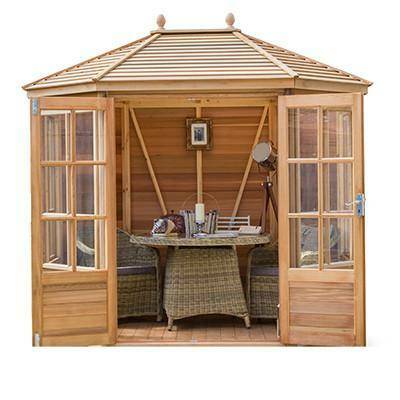 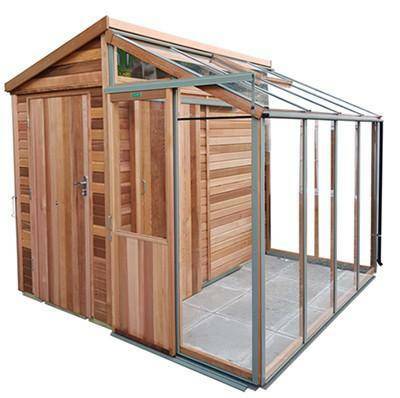 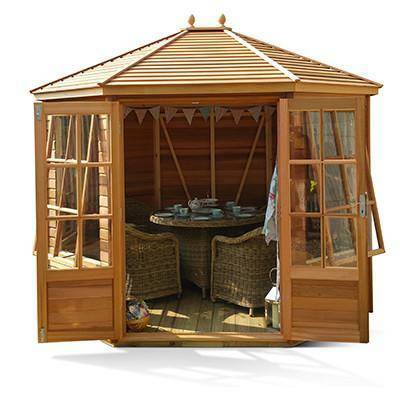 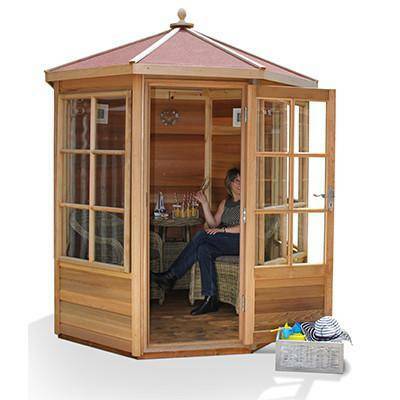 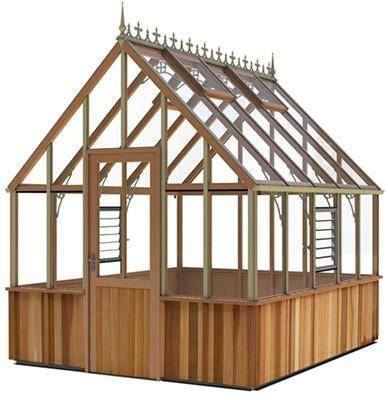 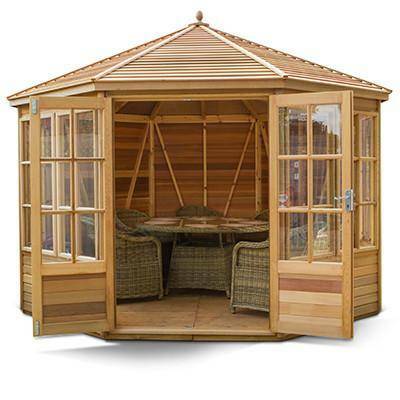 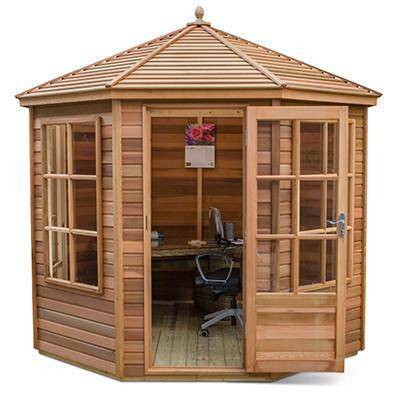 The slatted tops are Western red cedar which offers resistance to some greenhouse pests and doesn't need to be treated. 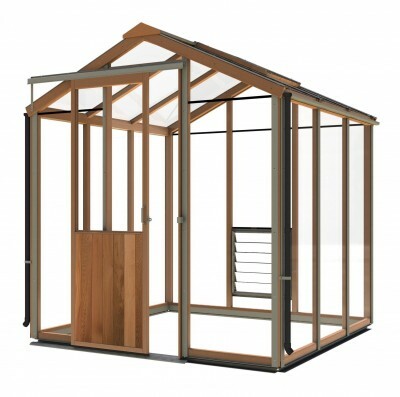 Arrives flat packed for self assembly. 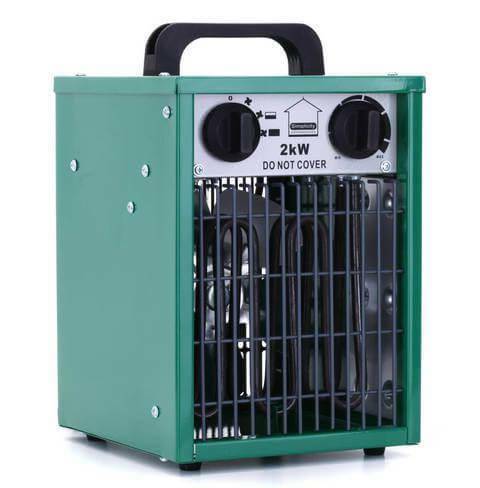 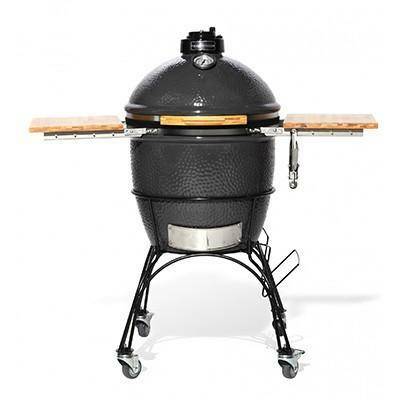 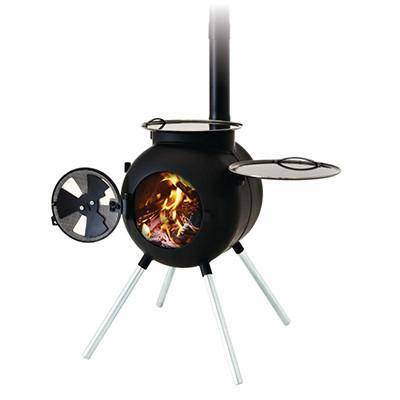 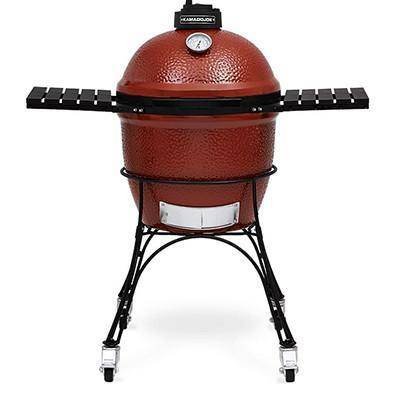 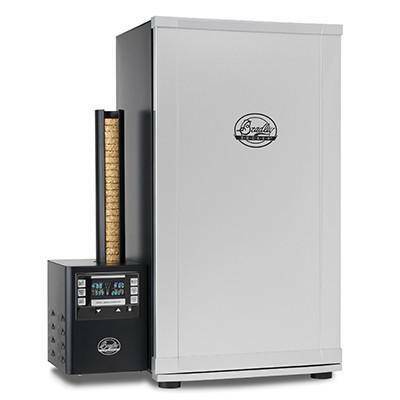 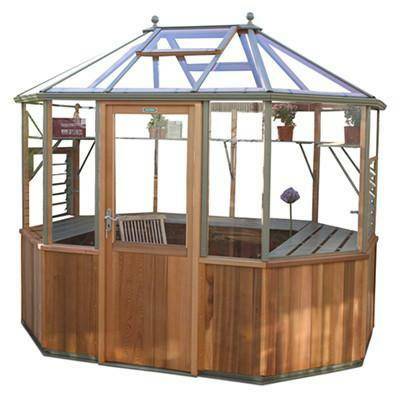 Suitable for AGL/Halls popular models only. 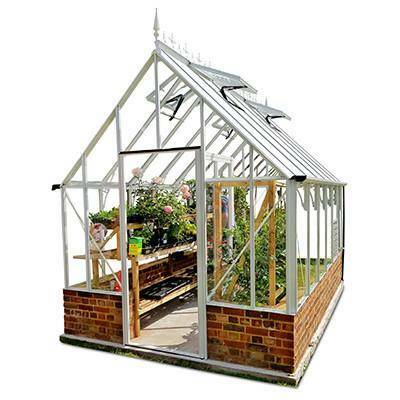 Down pipe for one side only, maximum of two Down pipe kits per Greenhouse, includes stop-ends, fittings, and can be retro fitted to an existing AGL/Halls Popular greenhouse. 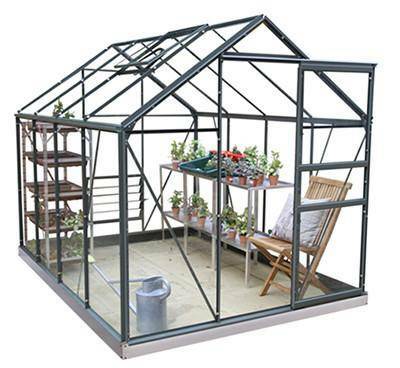 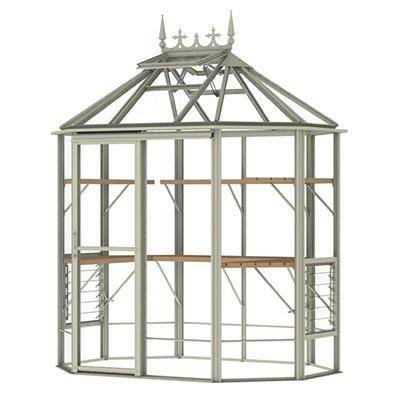 The Vitavia Apollo Silver 6x10 Greenhouse with horticultural glass is a large greenhouse that will make growing your own vegetables and plants a pleasure. 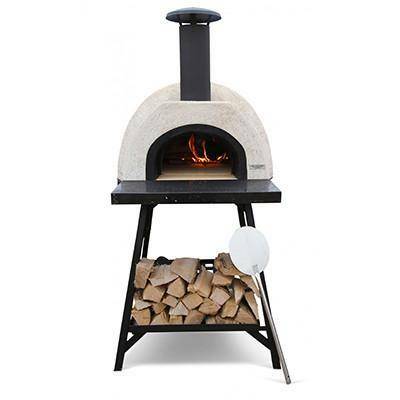 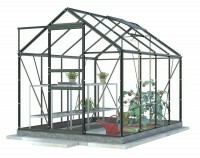 The new Apollo model has a unique low threshold entry point due to it’s built in base plinth that runs around the perimeter of the greenhouse. 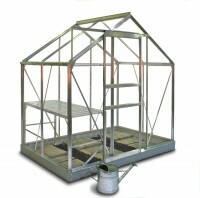 This both provides great stiffness and rigidity to the structure and makes coming in and out of the greenhouse super safe as there’s no step to trip over. 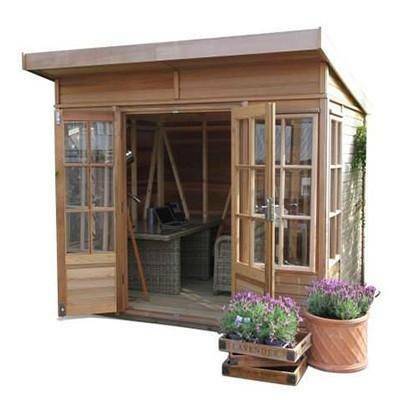 This Apollo 6200 6ft x 10ft model has 2 opening roof vents for ventilation, a single sliding door that can be fitted to slide left or right and integral gutters. 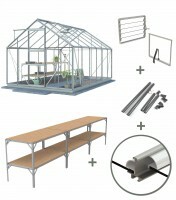 A = Base width: 1,930mm (6ft3). 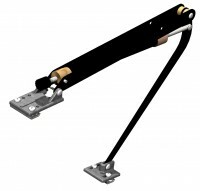 B = Length: 3,210mm (10ft6). 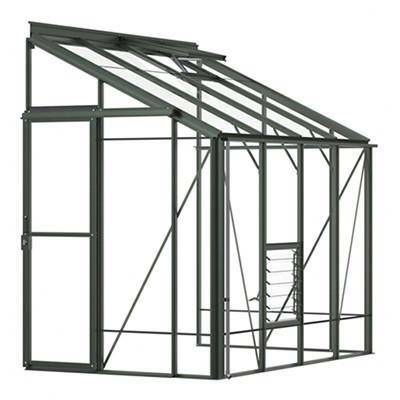 C = Eaves height: 1,240mm (4ft). 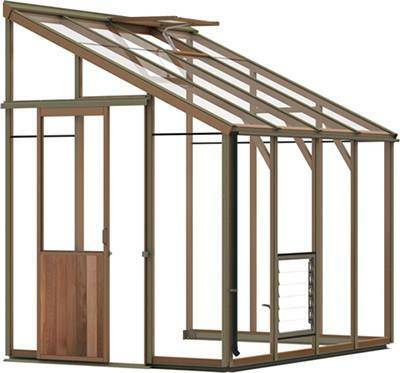 D = Ridge height: 1,970mm (6ft5). 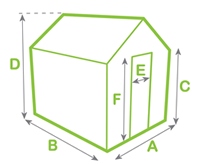 E = Door width: 610mm (2ft). 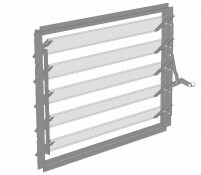 F = Door height: 1,610mm (5ft3). 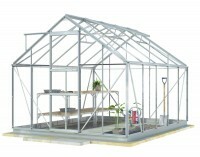 Ask a question about "Vitavia Apollo Silver 6x10 Greenhouse"